Numbers 1-20 is a counting board that can be used for lots of different counting and number activities. Tap on a number to change the color, from black to red to white. 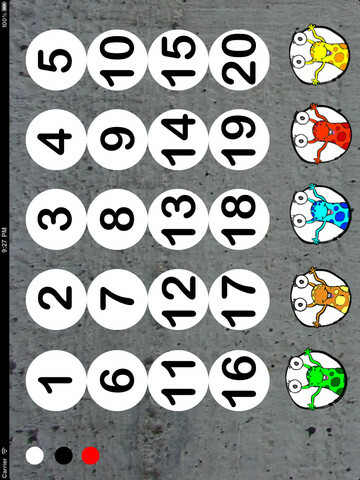 Tap on the colored circles on the left hand side to change the colours of all of the numbers. 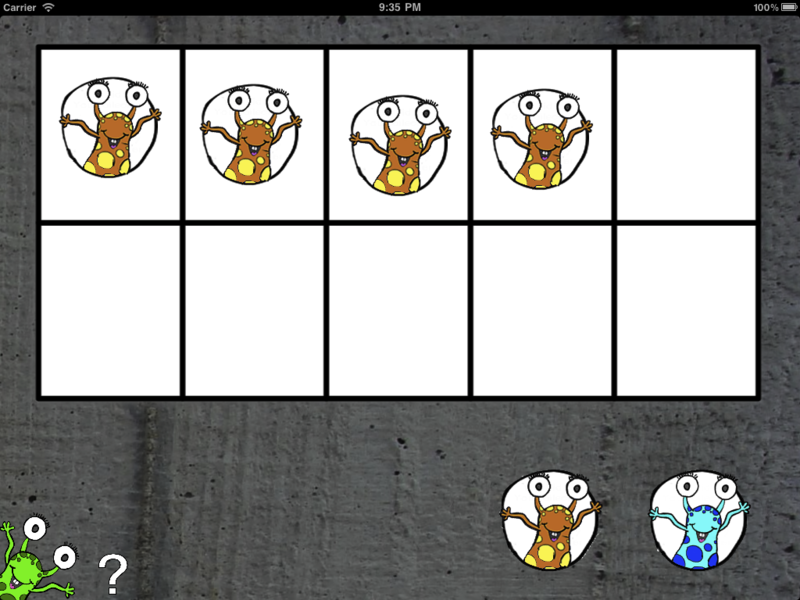 Drag the counters up from the bottom of the screen to hide or highlight numbers. This is a great, open ended educational activity for children who are becoming more confident with numbers. 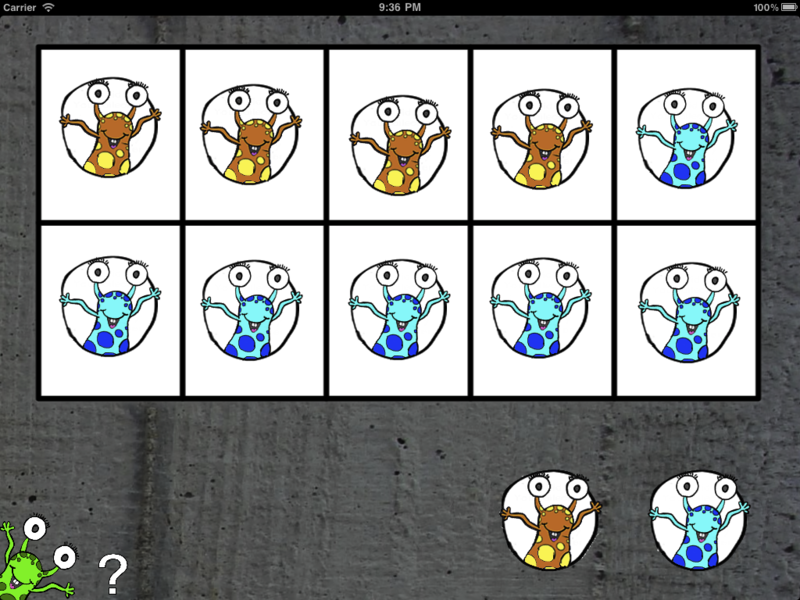 This is a simple app for playing with numbers. 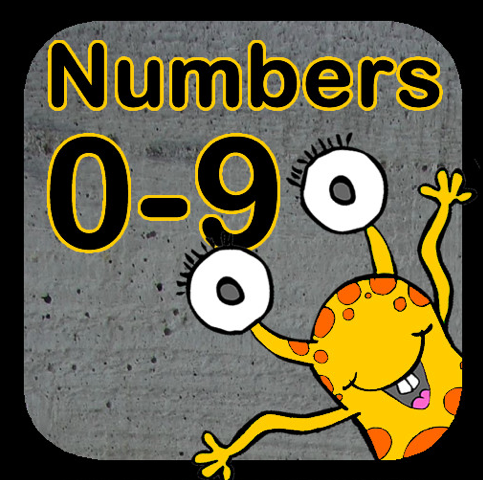 This app is great for children to use by themselves or as part of a small group, to order numbers, work out number sequences or number problems, or to work as part of a group with an adult, answering questions through the “Numbers0-9” app. 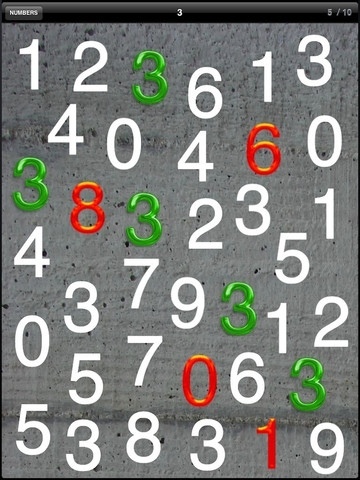 Draggable numerals 0 – 9 are located in stacks at the top of the screen, with draggable addition, subtraction, multiplication, division and equals symbols located in stacks at the bottom of the screen (in portrait mode). Six symbols are included in each stack. Also included is a handy number line, which is great for ordering numbers. 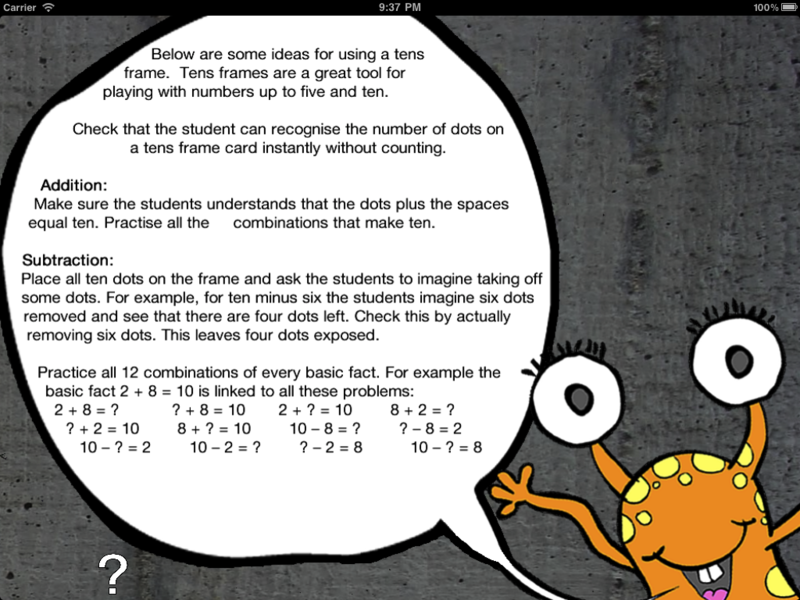 Fantastic at home or at school, this is a great addition to a basic maths app collection! “I love, love, love 100s Board. My child has cp, and he has to learn to do math in head because he cannot write on his own…..yet! 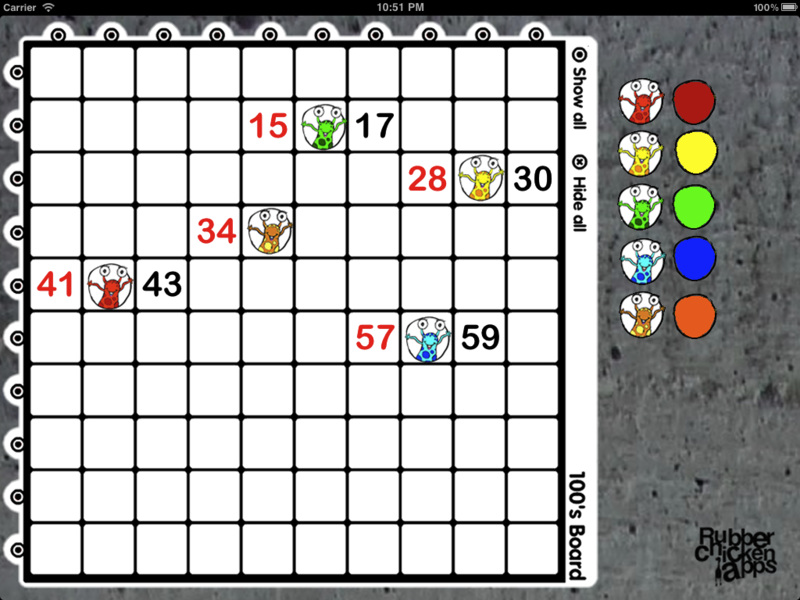 We use the 100s Board almost daily, and it is always on my list of top 5 apps. He does addition, subtraction, counting coins, even time, as well as the regular things you’d do on a 100s board . . . 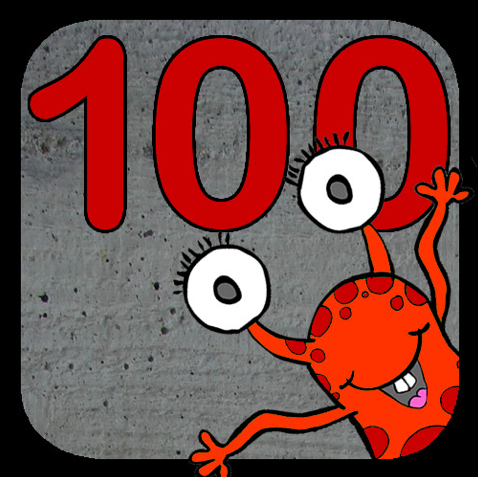 The 100’s Board app is exactly that! 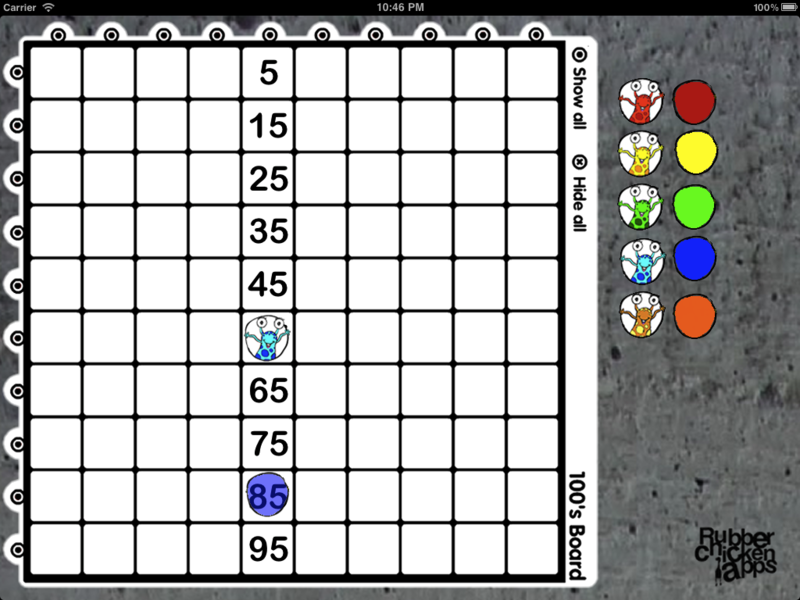 A digital 100’s board that can show and hide all of the numbers to 100. Numbers can be pressed to change from black to red. All numbers can be hidden or shown at the same time, or in rows / columns of ten. 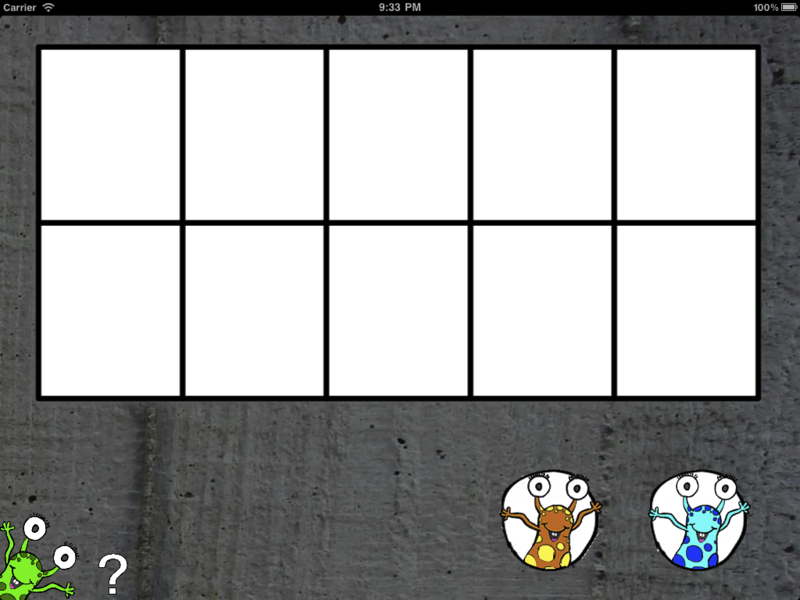 Ten draggable counters are also included for even more fun and games! 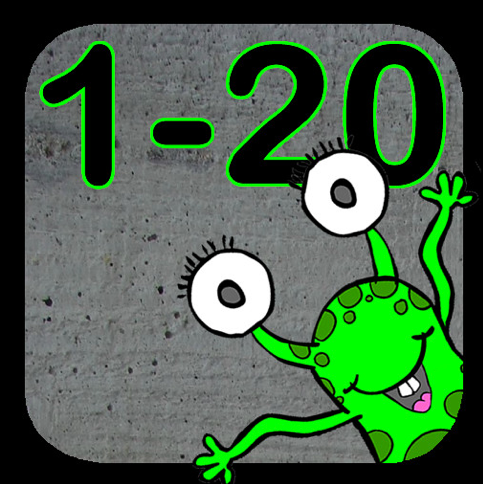 This is a great educational K-12 app for helping children with their mathematics, making sense of numbers to 100. 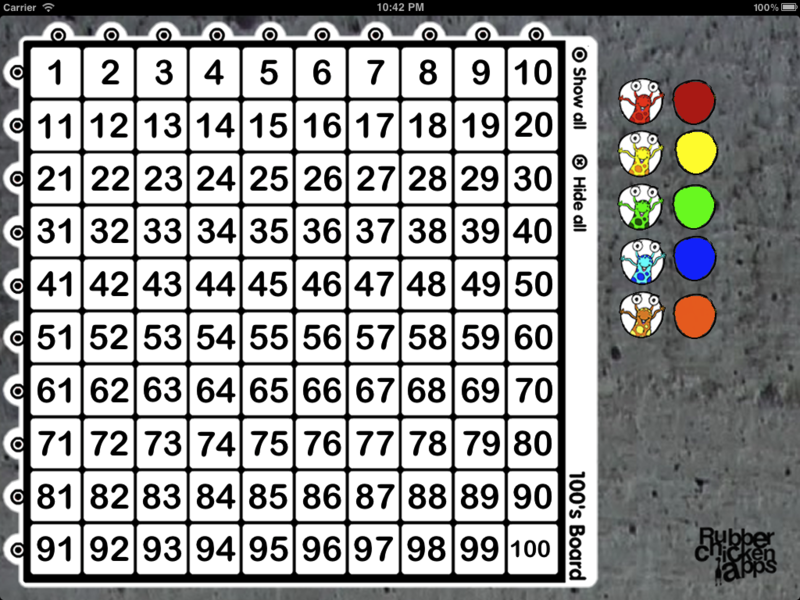 100’s Board can be used for counting in 1’s, 2’s, 5’s and 10’s or can be used for any number of math games such as ‘squeeze’ or ‘guess my number’. 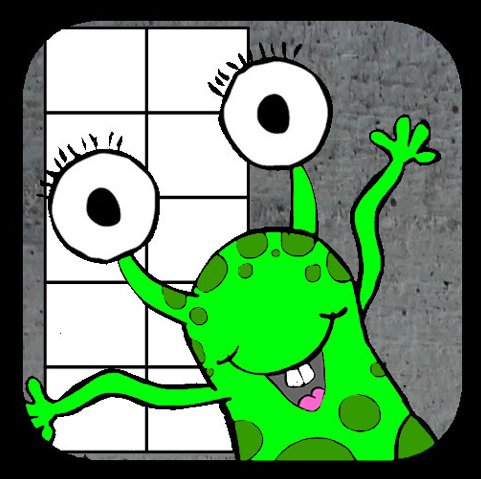 Number Find is an app designed to help children practice quickly identifying numbers when they are amongst other numbers. 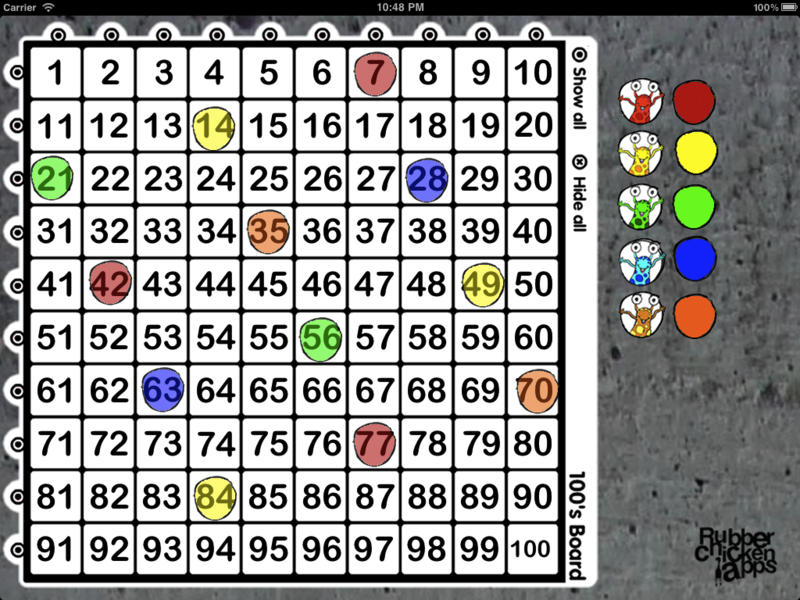 Children tap on numbers and need to find all ten to move on. This is a great activity to help quick recall of number identification.